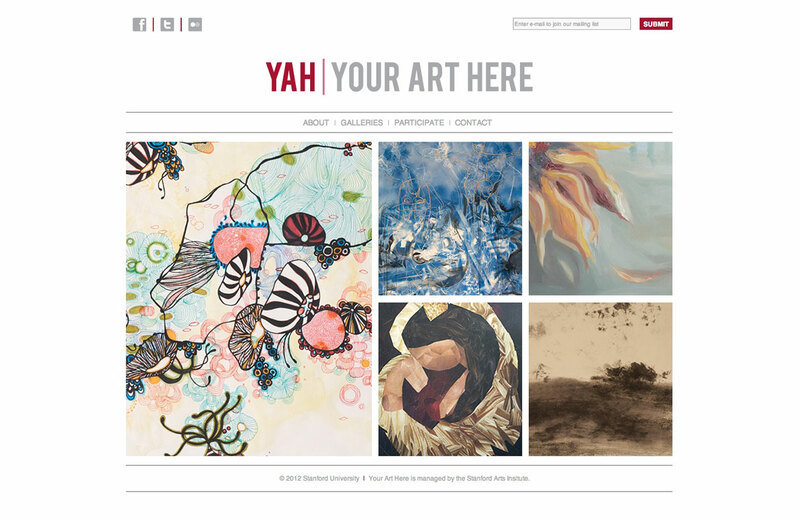 The Your Art Here Program coordinates several student-run gallery spaces across Stanford campus, enabling members of the Stanford community to display their work. The program is run by a staff Oversight Board and a Student Committee, and gives students the opportunity to gain curatorial, installation, and gallery management experience. Students are responsible for planning, curating, and installing the exhibitions, and are given training opportunities with professionals in the field.